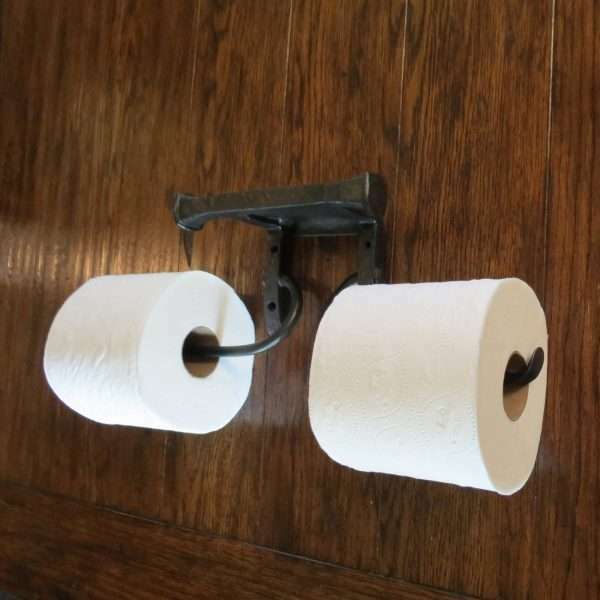 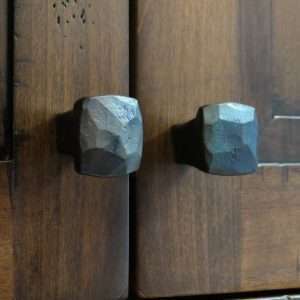 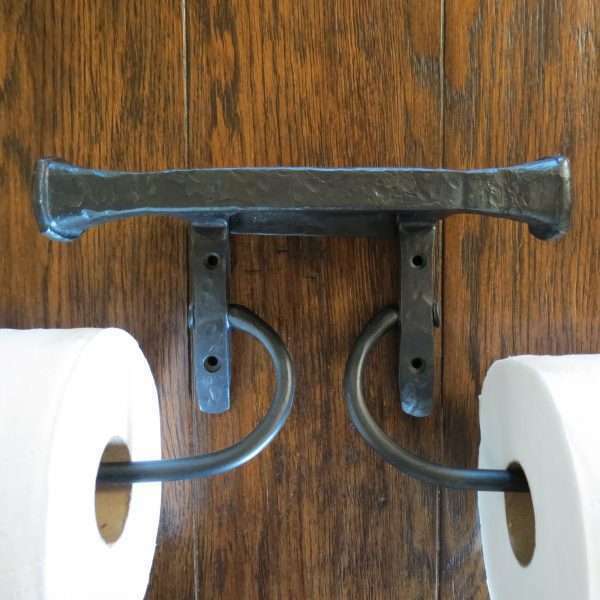 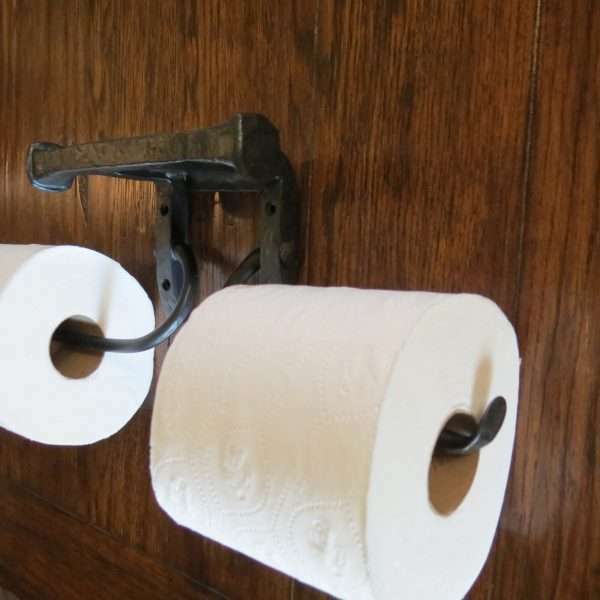 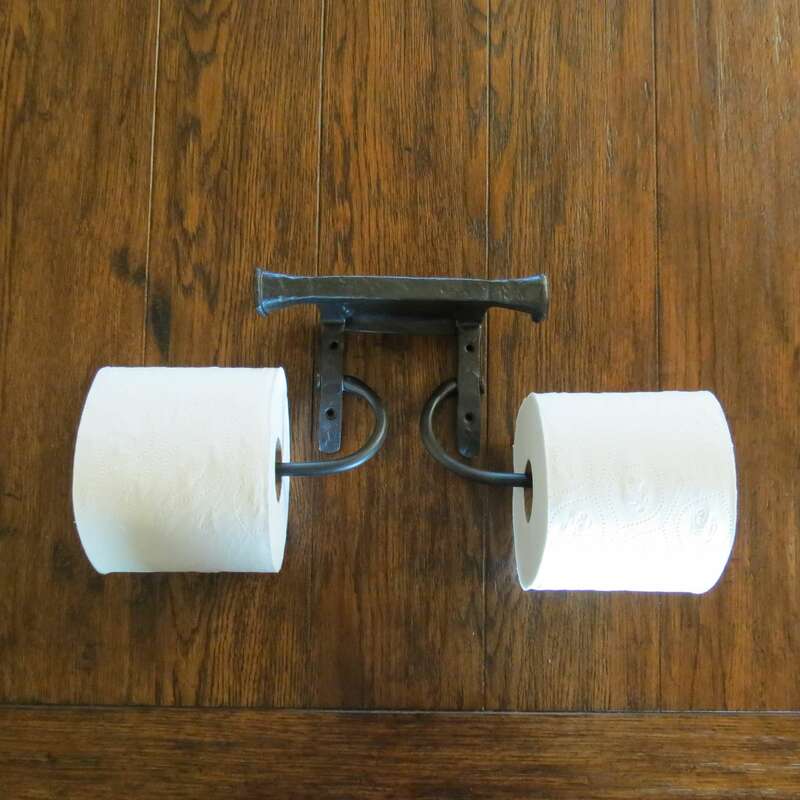 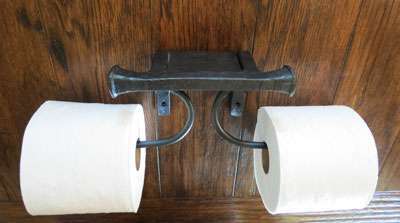 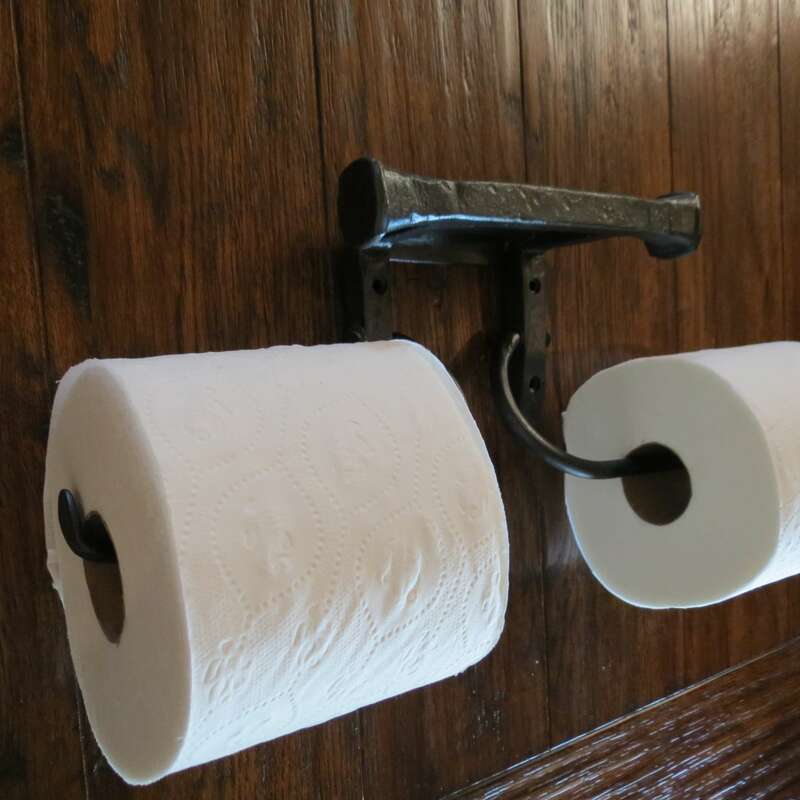 Double TP holder is hand forged and shaped to give a rustic and antique feel and appearance. Each holder is unique in texture and shape and are straight out of the forge, shaped,hammered and lightly brushed to leave a nicely rounded and antique looking wrought iron fixture. 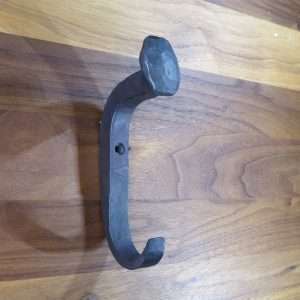 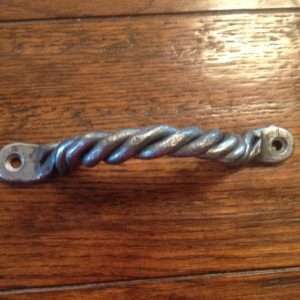 After brushing, the Pulls are fired once more in the forge to bring out the wrought iron color. Bars hinge to allow roll to rest on wall for slight resistance and for paper replacement. 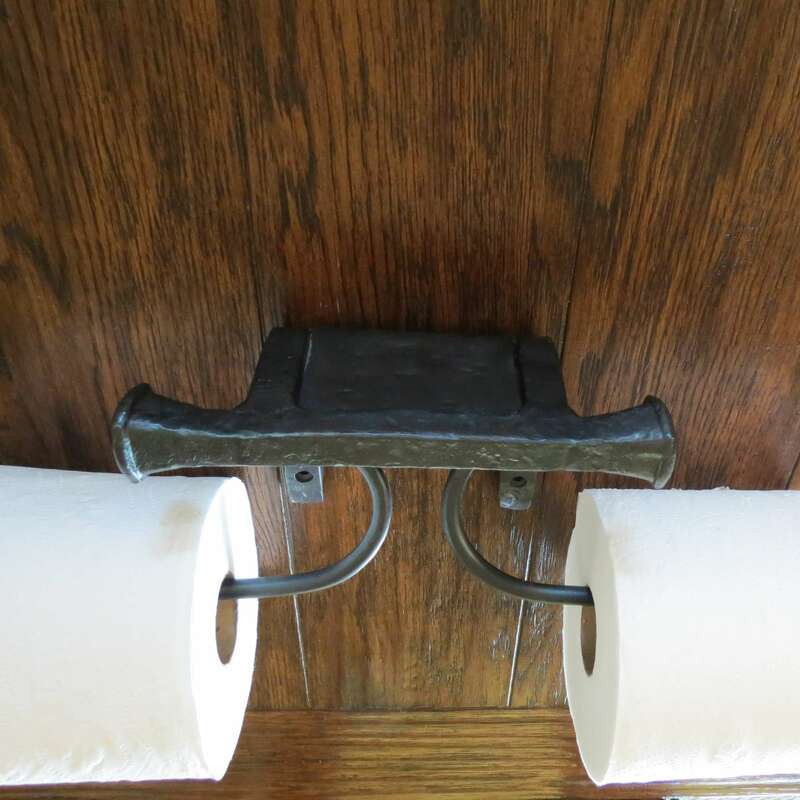 Top shelf can hold phone or beverage. 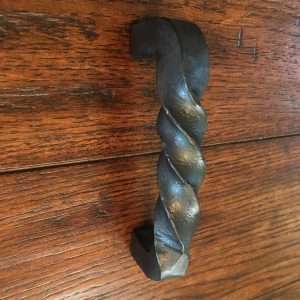 Overall dimensions: 6″ tall x 19-1/2″ wide x 3-1/2″ deep, not including paper.